Mayonnaise! The thick cold sauce without which our sandwiches and salads are just incomplete. It adds that extra flavor that we long for in our food that just makes our taste buds happy. So happy that just the name of mayonnaise makes one’s mouth water. Just like yours have become right now! But in all things delicious and yummy, do you ever wonder where this mayonnaise comes from and how this tasty sauce is made? Hmm. We thought the same and that’s why we dig up a little so today we could dip our chips in mayonnaise and our brains in knowing all about Mayonnaise – History, Raw Materials and Manufacturing. And while you are doing that, just take a look here to know the wonders of sodium as well. Thank me later! ‘Give me a jar full of mayonnaise, bread, and leafy vegetables and I’ll survive.’ That’s what we often think when it comes to this thick sauce that just makes every food creamy. Umm… Talk about foodgasm! Now enough of that mind cooped in the gutter and let’s find out the origins of this favorite condiment of ours i.e., Mayonnaise – History, Raw Materials and Manufacturing. You must have these plants in your home garden for the continuous supplies of herbs and spices. 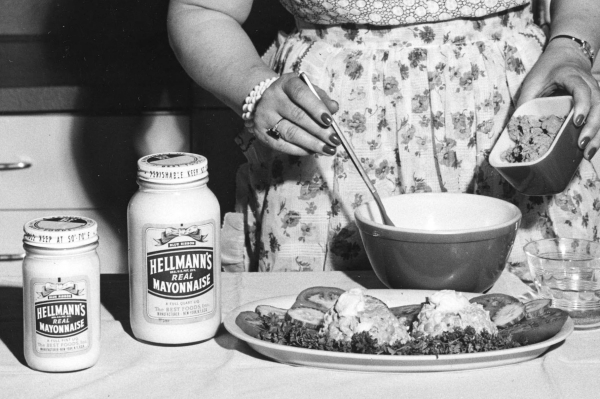 But before that let’s get to know a little more about Mayonnaise – History, Raw Materials and Manufacturing. For those of you who think it is related to cheese let me tell you one thing – it is NOT. For those of you who just hate egg yolks let me tell you one thing as well – mayonnaise is made of egg yolks! (Where did you think that yellowish color comes from? )And those of you vegans out there who just scrunched up their noses after reading this, let me share one thing with you people as well – Don’t worry! They make egg-free mayonnaise as well. So, folks, egg-yolk haters or not, you can’t possibly hate mayonnaise ever because… because its mayonnaise! Duh! It’s yummy and delicious and not to mention it brings out the best of the food. No way are we going to hate it, right? Ready to dig in your kitchen? Maybe these kitchen ideas with small budgets will brighten your day more than mayonnaise with chips. So, you might think that the mayonnaise is something that came out of the modern food industry but it is not. There are many versions of mayonnaise origin that even led to a debate of whether it was invented by the French or the Spanish. One of the stories is that the mayonnaise was invented by the chef of French Duke Richelieu while he was busy preparing the victory feast for the duke in 1756 when the duke had captured the Spanish island of Menorca. Some theories say that there was not enough cream on the island so the chef created the mayonnaise through experimentation while some say that the locals showed him how to make it. 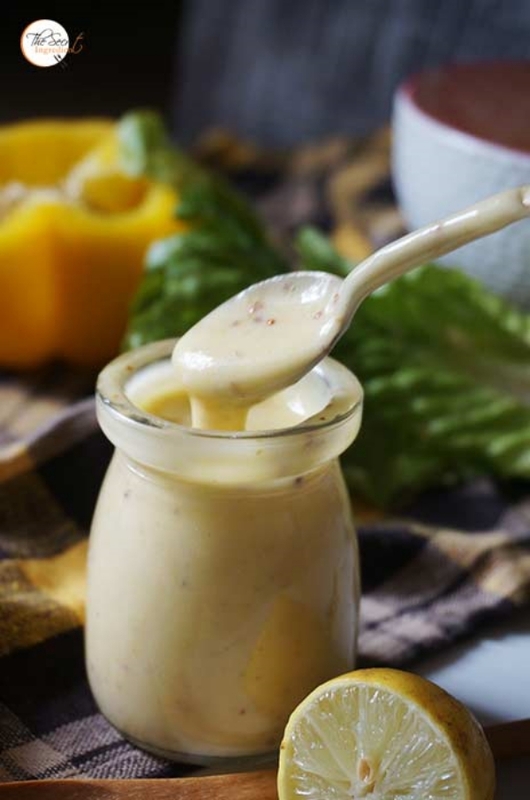 Another theory states that the creamy sauce might be originally known as bayonnaise after the town of Bayonne, located in southwest France, which was known for its special creamy sauce. After many arguments, it seems that the scale seems to be on the side of the Spanish. Well, that’s a pretty great history behind a simple thing like mayonnaise that has only two key ingredients – eggs and oil, olive oil to be exact. Speaking of oil, wanna know how to get rid of the rusty cast-iron skillet? Nope, by replacing it so not what I’m saying. Our favourite creamy sauce mainly contains only two things – egg yolks and olive oil. Nope, I’m not lying! How can something be so simple but so delicious at once? So, like I said, the mayonnaise is made from egg yolks and olive oil. But of course, there are other things that are added to it to get that flavored taste such as vinegar or lemon juice, salts, and spices. The mayonnaise is actually an oil-in-water emulsion. And that’s why some even use other vegetable oil like soybean instead of olive oil. Grow some great juicy and plump tomatoes with the help of these tips. After all, they are a must thing of the kitchen then why not grow them yourself! One can make the mayonnaise at home. Oh, no, I’m not kidding. What you just need to do is to whisk some egg yolk with the salt. Then goes the olive oil in it and we are back to whisk-whisk! But if only things could be that easy. The process might seem easier but there are chances that you wouldn’t get the mayonnaise that you were expecting. So thanks to manufacturers who don’t fail to provide us with huge supplies of mayonnaise. Bring in some huge supplies of fresh and natural air with a tinge of lovely fragrance with these aromatic plants. The manufacturing process is easy for mayonnaise but they do it perfectly with perfect temperatures. It starts with a blending system which is used to blend the vinegar and oil. On the other side, the eggs are dispersed in either the liquid or the powdered form with water. 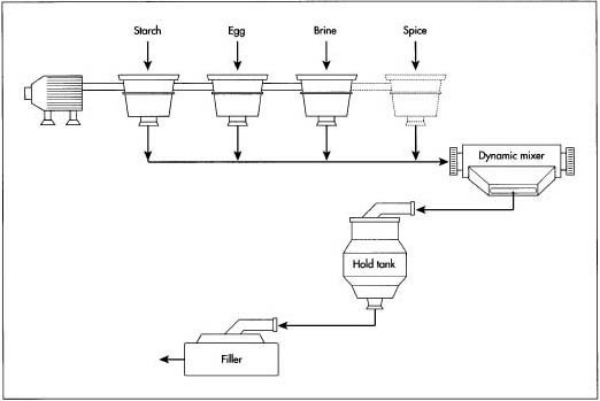 Once the emulsion is created, the remaining ingredients are added to the dispersed eggs and are mixed vigorously until it is hydrated and evenly dispersed. 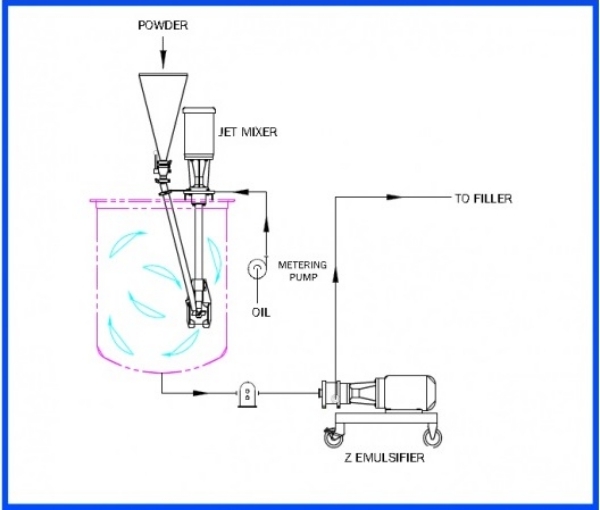 Emulsifying machines are used to finely subdivide the oil into droplets that form a densely packed structure. This space-filling structure is responsible for the high viscosity oil-in-water emulsion which is exactly what the mayonnaise needs for improved quality. Speaking of quality, fill your home with good qualities a.k.a. positive vibes with these Feng Shui tips. The key factor of perfect mayonnaise is the fresh raw materials. The raw materials are thoroughly checked for freshness before they start the manufacturing process. Also, to ensure the best quality, the manufacturers make sure to do taste-testing during the manufacturing process. All this talk of mayonnaise surely tempts one to make something good enough to gobble down. How about these healthy lunch ideas? They are healthy and most of them do need the mayo. Given its mouth-watering taste and yummy flavors, there is no doubt why the mayonnaise is in so much demand throughout the whole world. And as if the original version of mayo wasn’t enough, they have started making all kinds of flavored mayonnaise now. So, what are you waiting for? Time to dip those chips in your mayo! Before you do that, just click here and find out everything there is to know about aluminium. Trust me; when I say that it’s more than just a wrap!